This sweet side dish is packed full of flavor. 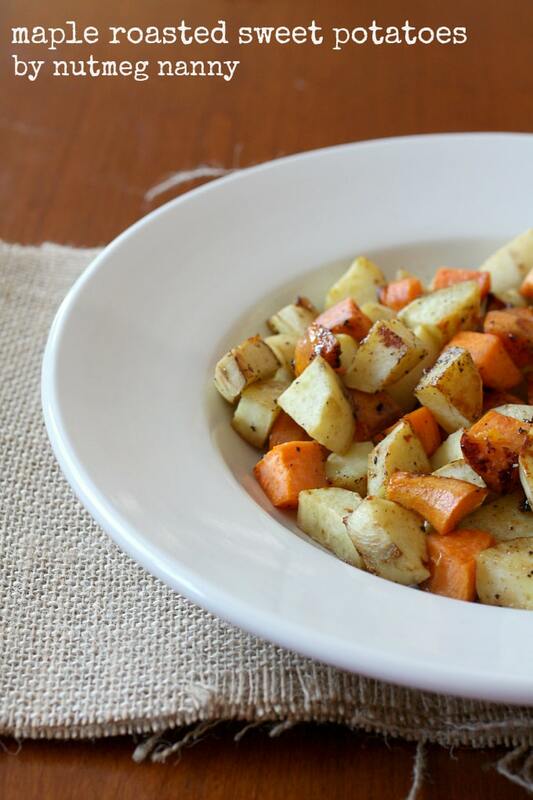 Trust me, if you love flavor you’re going to love these maple roasted sweet potatoes. Thanksgiving is just around the corner and I guess it’s time I start sharing some delicious Thanksgiving inspired dishes. Now, I certainly don’t have the time to cook up a whole feast, but I did want to share a couple tasty side dishes. Growing up we always had sweet potatoes for Thanksgiving but you couldn’t pay me enough to touch them. They were drenched in syrup, came from a can and topped with marshmallows. No thank you. In fact, the only way I will sweet potatoes is if they are in fact roasted. No brown sugar or marshmallows for me. 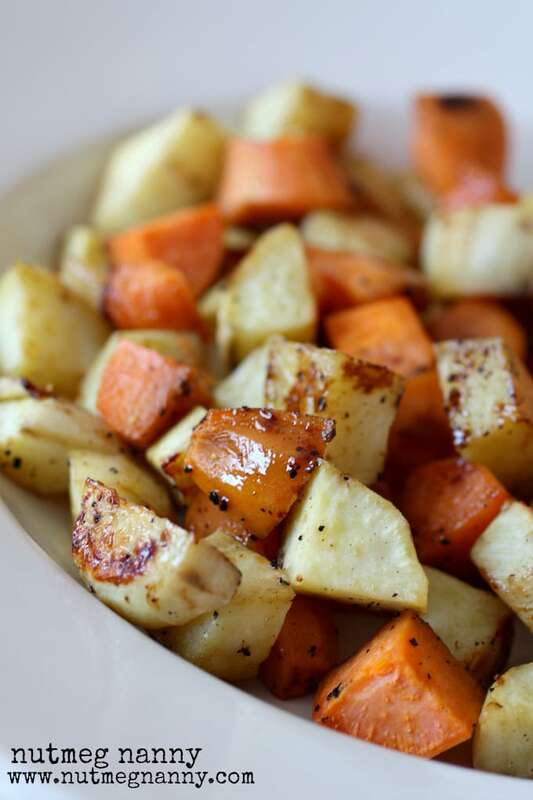 For this roasted mixture I used both orange and white sweet potatoes. I like the different colors it brought to the dish. However, using whatever you have on hand would be perfectly fine too. I did add some maple syrup that brought just a touch a sweetness that was perfect and not overpowering. This dish was finished in just under 30 minutes and would be perfect to whip up while the turkey is resting on Thanksgiving. 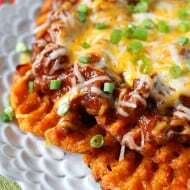 Just remember – don’t give into canned yams when you can have this delicious dish instead! This sweet side dish is packed full of flavor. Trust me, if you love flavor you're going to love these maple roasted sweet potatoes. Peel and chunk up sweet potatoes and add to a large rimmed sheet pan. Drizzle with maple syrup, olive oil, salt and pepper. Mix together (I used my hands) to make sure all the sweet potatoes are equally coated. Bake until tender (about 25 minutes) stirring the potatoes about once every 10 minutes so they don't burn. We never had ANY sweet potatoes at thanksgiving because my dad hated them. 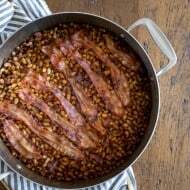 But as soon as I realized how much I LOVED them, I started incorporating them in the big meal…just plain old roasted are awesome but with maple syrup – to die for! 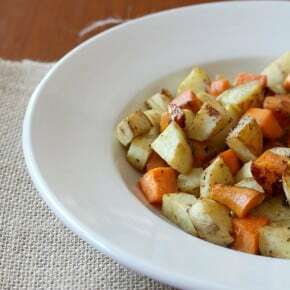 I just love sweet potatoes…I can eat them whether they are cooked casserole style or plain. I like your combo. Looks delicious! Yum, these look delicious! I will definitely making these for my family over the holiday. Lovely, lovely, lovely! And I totally agree… don’t give in to the canned stuff. 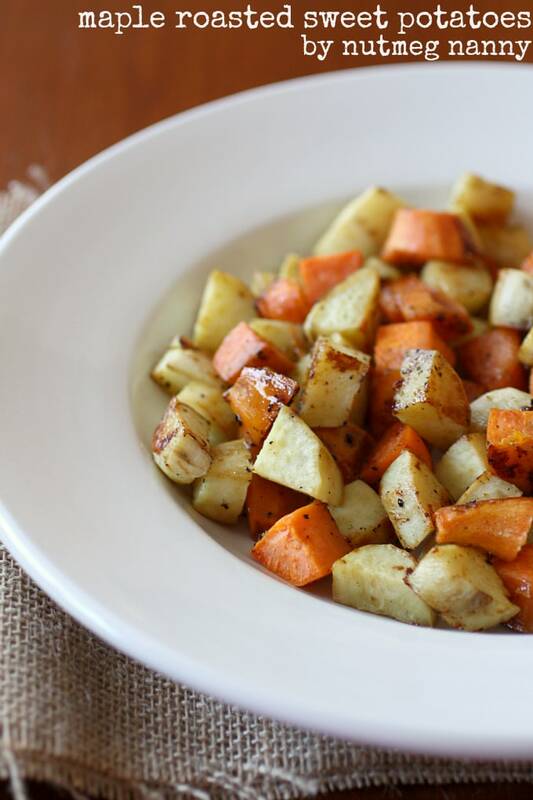 I always serve a combination of roasted root veggies at Thanksgiving (sweet potatoes, carrots, parsnip, turnip and onion). I think I’d much prefer these roasted sweet potatoes rather than candied yams! Love any kind of veggie that’s roasted and I’m sure the maple syrup takes this over the top! 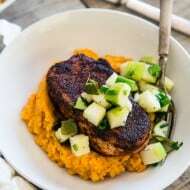 And I’m prego and sweet potatoes are on the list of good things to eat, so I’m all over this!